The Steel Strap End Table Base allows you to use your own table top that fits your home and style. This iron frame measures 24" x 24" x 25" and fits a 23.5" Round table top of your choice. 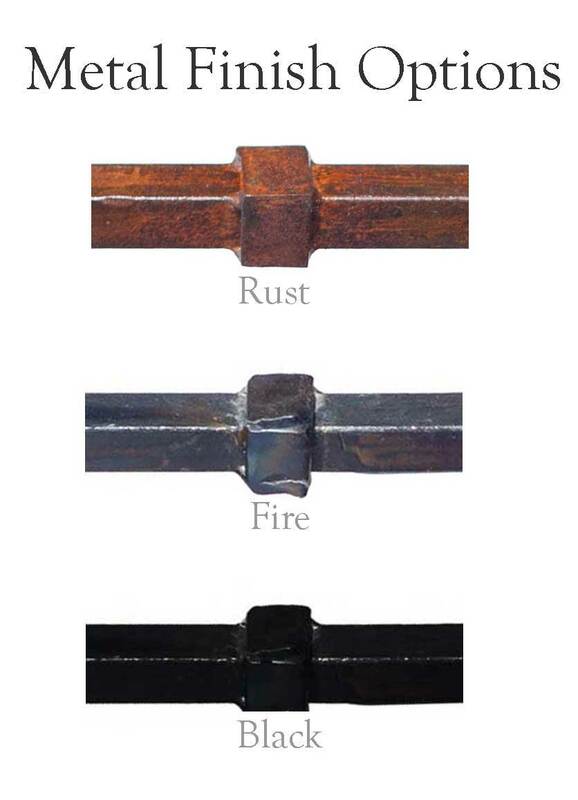 Choose from 3 finish options to customize your table base. This popular item has free shipping and is hand made to order. Overall: 24" x 24" x 25"
Examples include glass or wood, natural stone is not recommended.